Make a vibrant statement in your interior with this stylish square cushion from Maison Christian Lacroix. 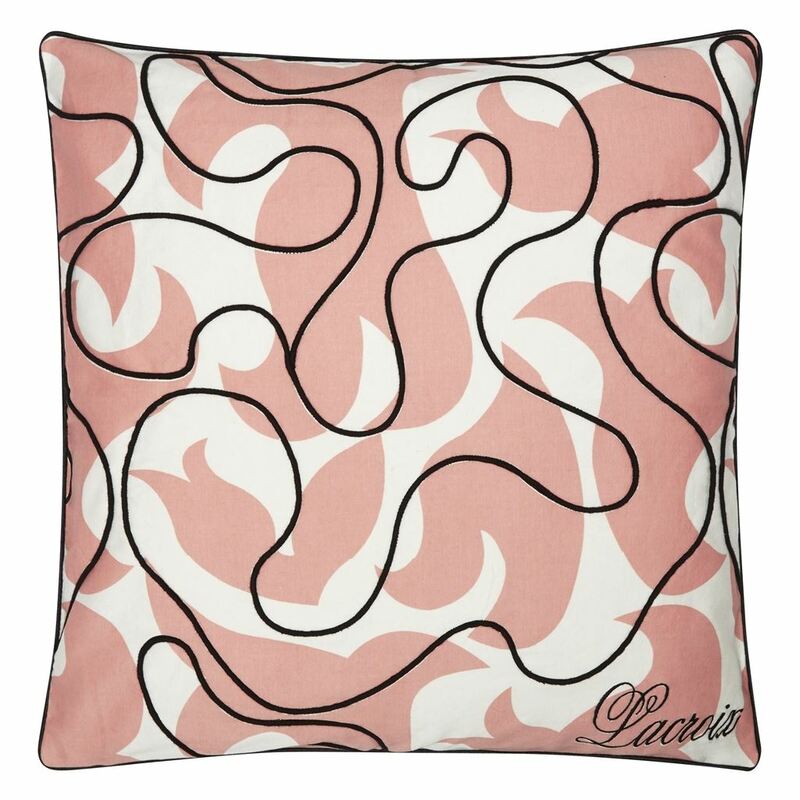 Flame like motifs are screen printed in soft pink with black cord embroidery swirling over the surface. 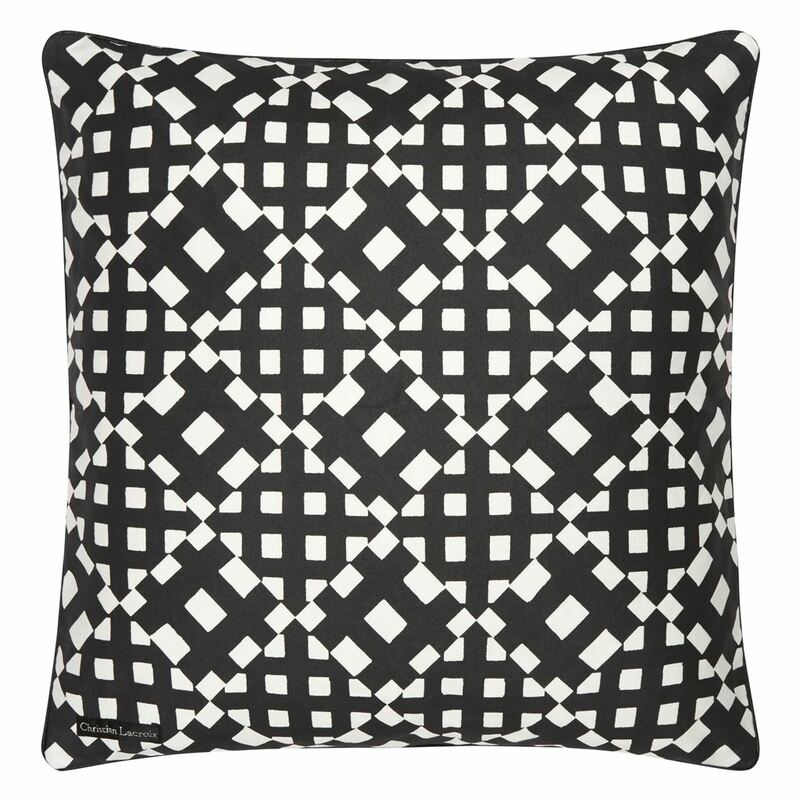 A graphic monochrome geometric print completes the reverse of this luxurious cushion. 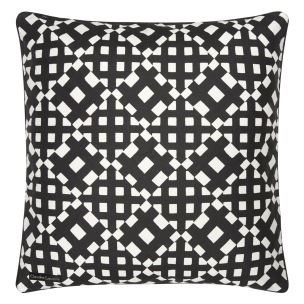 This large cushion has a black metallic piping. Why not coordinate with our best-selling Varese velvet cushions?